Wearables couldn't be more in vogue right now, so it's no surprise to see them making noise all over crowdsourcing platforms as well. The latest one to hit the radar, Kickstarter hit BLOCKS, aims to break itself away from the crowd with an all-important difference: you can build your own version and add the functions that suit you. Having smashed its original $250,000 goal (it's currently riding high with over $1.5 million with over eight hours to go), the BLOCKS will come with a core (the watchface and the brains of the kit) and a strap, but adding functions isn't a case of linking up software but actual physical components. These modules form links on the strap and range from GPS trackers and heart rate modules to NFC contactless links and cameras. Pretty neat, huh? 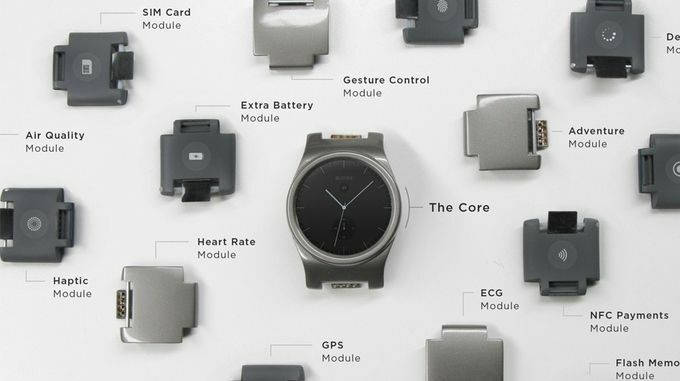 The modular nature of the Android and iOS-friendly BLOCKS has us most excited because you can swap components out at any time, enabling you to create a smartwatch to fit multiple purposes. There's also the exciting prospect it holds for the future. "As an open platform, BLOCKS allows any company or individual to develop Modules," it reads on the BLOCKS Kickstarter page. "There can be Modules for gaming, sports, healthcare, the workplace, or even experimental ones for academic research." The lowest tier of the campaign offers a core and a strap for $195 (£128), but you'll have to cough up a little more if you want those all-important modules. The campaign ends today with shipping planned for May 2016.